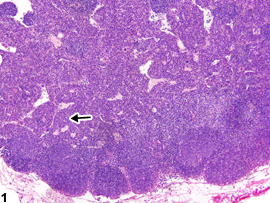 Lymph node - Hyperplasia, Plasma cell in a control female B6C3F1/N mouse from a chronic study. 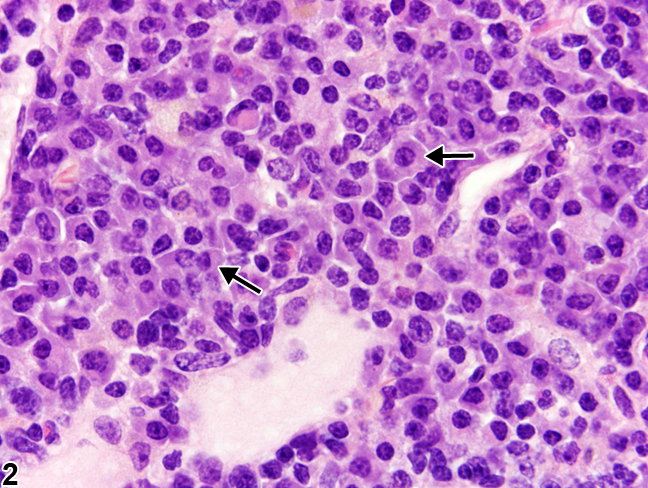 The medullary cords are markedly expanded by increased numbers of plasma cells (arrow). Lymph node - Hyperplasia, Plasma cell in a control female B6C3F1/N mouse from a chronic study (higher magnification of Figure 1). 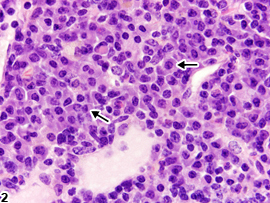 Plasma cells (arrows) are present within the medullary cords.